Twelve days before Thanksgiving, Mark and Sue Meaney decided to put their 109-year-old house on the market. They looked at comps of similar-sized homes near their St. Paul neighborhood, agreed on a price with their agent and waited anxiously for their first offer to roll in. Mark and Sue knew their timing wasn’t ideal. The holidays loomed, and the market was slowing; worse, St. Paul was entering its notorious subzero season. The couple felt torn. After one year of searching for a new home, they had found the perfect place a few miles away. It was spacious enough to raise their kids and had a first-floor bedroom and bathroom for Sue’s aging parents. As first-time sellers—Mark and Sue had lived in the house for 20 years—the couple took a leap of faith. They bought the new home, moved in Sue’s parents and dropped nearly $20,000 to spruce up their old house to help it sell quickly. Several weeks later, their vacant home remains for sale, its exterior weathering the forces of yet another Minnesota winter. Skim any number of news articles on the U.S. housing market and chances are you’ll run across the phrases “low inventory,” “sellers’ market” and “strong demand.” This rings especially true in larger metropolitan areas, where stories of bidding wars abound, leaving the impression that sellers in these markets simply list their homes, sit back and receive offers above the asking price. For much of the U.S., however, the data reveals a starker reality. 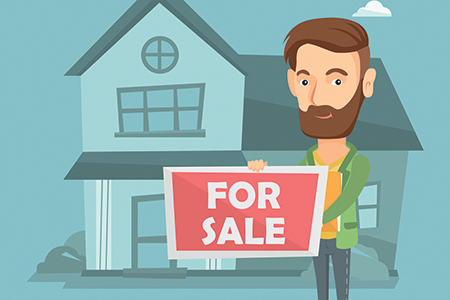 According to new findings from Zillow Group—which used data from the Zillow Group Consumer Housing Trends Report 2017—selling a home in the U.S. is not only fraught with anxiety, but often culminates in unmet expectations. In fact, close to one-third of sellers said they felt unsatisfied with the selling process. Of first-time sellers, nearly 30 percent were unprepared for how long it took to sell their homes and said they wished they would have started the process sooner, according to the analysis. Furthermore, 76 percent of sellers across the U.S. ended up making at least one concession, with lowering the price the most-cited compromise. Thirty-six percent said they either struggled to sell their homes within their desired price range or time frame. “This data shows there is a huge opportunity to create a better end-to-end experience for sellers and help them turn over their homes faster,” said Jeremy Wacksman, chief marketing officer at Zillow Group. Much of the stress sellers feel stems from that nail-biting wait to get the right offer. Fueling this collective anxiety is, of course, more access to information. While the internet has greatly democratized the buying and selling process, it has also created a state of seller vigilance. Sellers are more involved than ever in the sale of their homes—and more stressed out. Take Mark, for instance. He’s constantly monitoring how many views his house gets on Zillow and how it ranks compared to other homes coming on the market. Despite working with an agent, Mark is immersed—and stressed. While Zillow’s findings show that 82 percent of sellers valued having an agent guide them through the process, America has entered a new era of how deeply involved homeowners are in selling their most expensive investment, Wacksman said. Sonia Krishnan is a senior writer at Zillow Group. This article was originally published on the Premier Agent Resource Center on Feb. 16, 2018. See the full story here.